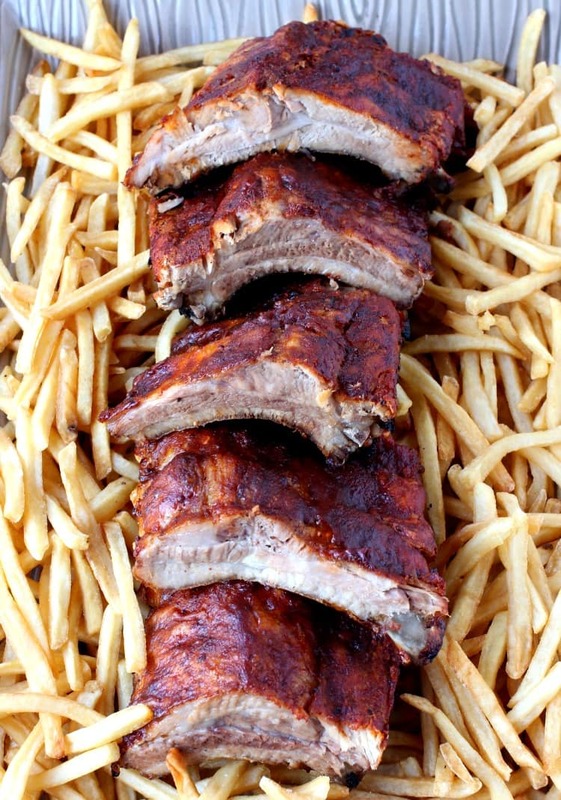 Overnight Slow Cooker Ribs can cook all day or overnight for an early morning party! 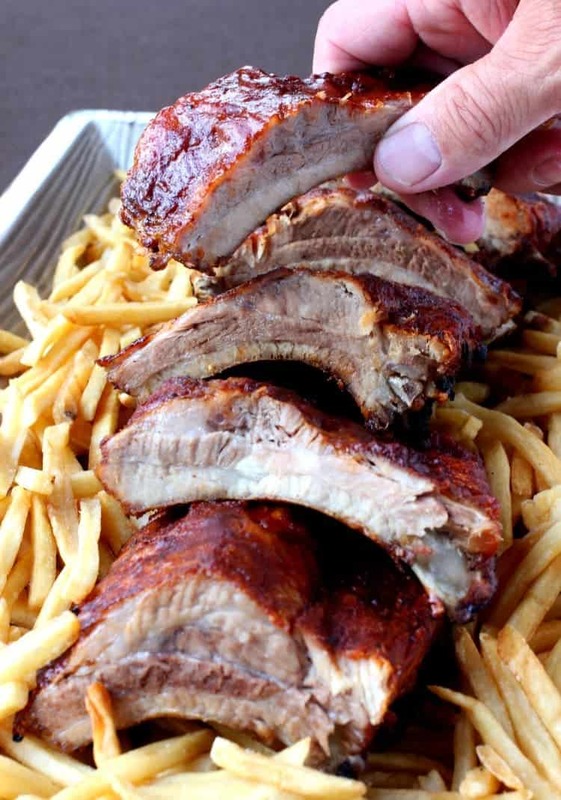 These slow cooker ribs are so easy to make and so delicious! 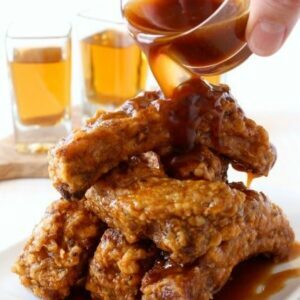 If you need more party food recipes like these ribs, try our Slow Cooker BBQ French Dip Sandwiches, these delicious Meatball Pizza Quesadillas, or a big pot of Grandma’s Meatball and Sauce! It’s really most of the planning that goes into any sporting or concert event if you ask me. Then when you finally go into whatever you’re there to see it’s like the bonus part of the day. So when I start this tailgate planning, it usually begins with the food. 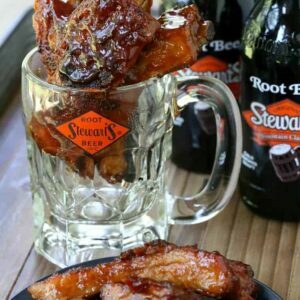 Everything else you can build around that…I mean just take a look at these crock pot ribs here – a total show stopper. And when it comes to tailgating, sometimes it means an early morning, which is where these Overnight Slow Cooker Ribs come in handy. 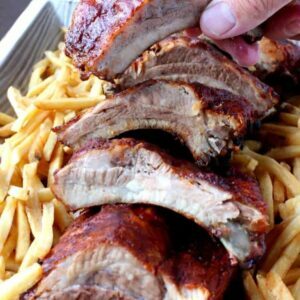 You can make these slow cooker ribs right before you hit the sack, then finish them off on the grill first thing in the morning or pack them in a cooler and fire them up at your tailgate! 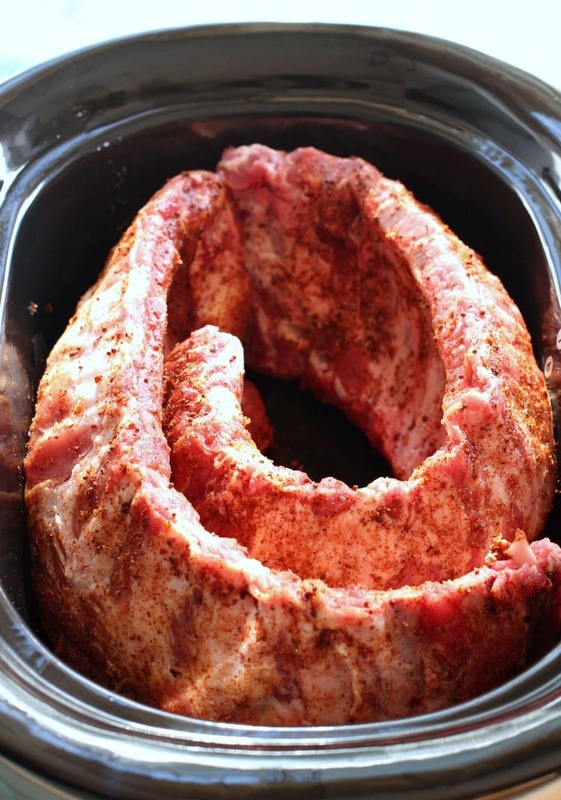 Start by to rubbing the ribs with some seasoning and put them in your Slow Cooker before you go to bed. And then when you wake up they’re just about done. I like to use a pork spice rub but you can use your own rub too if you have one! 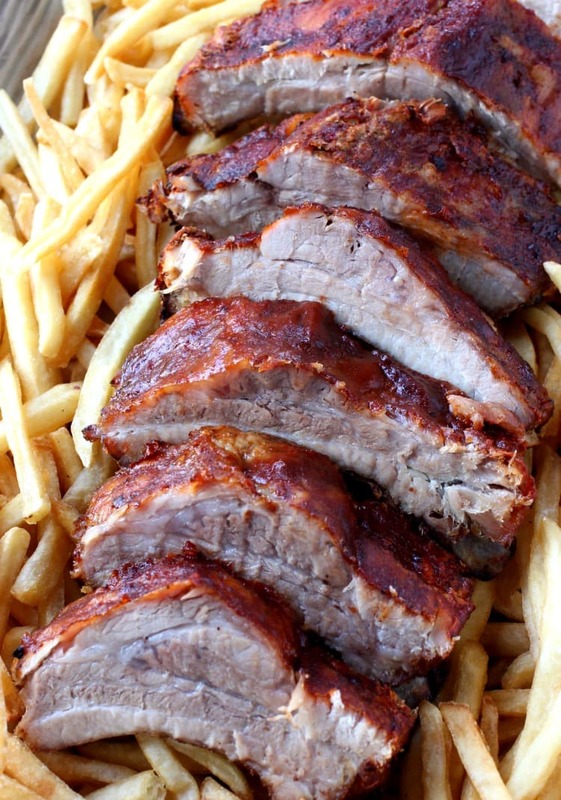 All you need to do now is take the ribs out of the slow cooker and let them cool down. I like to wrap them in aluminum foil and pack them in my cooler, right next to my ice cold beers. 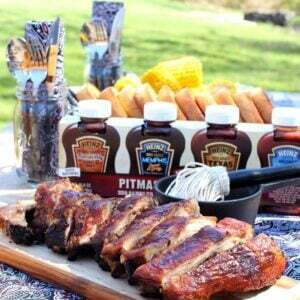 Once you get to your tailgate party you can light up your grill and get the Overnight Slow Cooker Ribs right on. I basted my ribs with a regular BBQ Sauce that we like and grilled them for about 15 minutes. Because that’s really all they need, just to be warmed back up and basted with BBQ sauce. So many things to list here, but I’ll try and keep it short! The main start of the show is going to be these slow cooker ribs. No one will believe that they hardly took any effort at all! This slow cooker rib recipe can be done overnight while you sleep or all day while you’re at work! 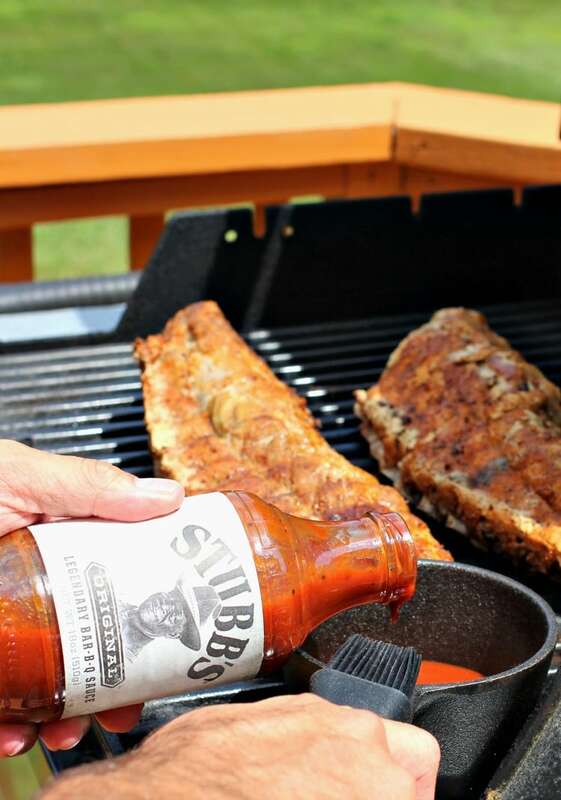 Rub the ribs with a tablespoon of salt per each rack and a generous amount of the pork spice rub. Place in your slow cooker as shown in the post above, standing on the sides of the racks. Cook overnight on low up to 10-12 hours, I found mine were just right at 10, but they’ll just be more tender if you go up to 12. 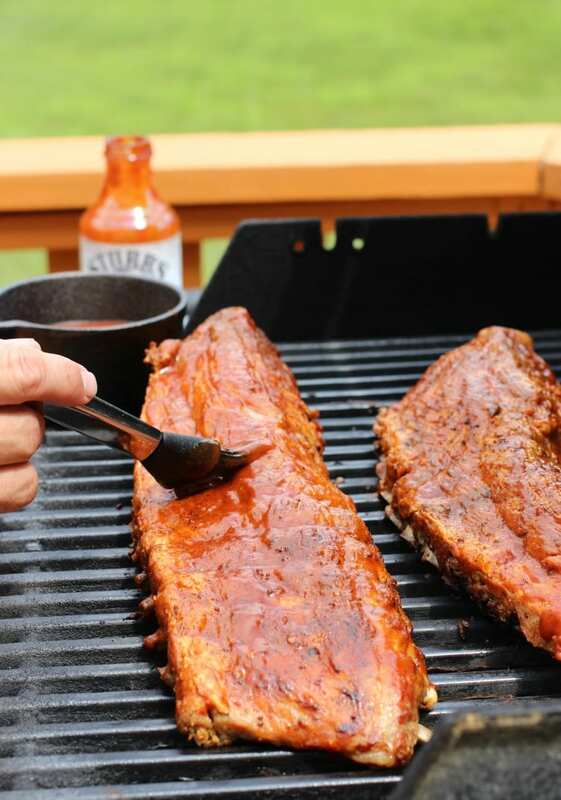 Grill the ribs for about 10 minutes while basting with the bbq sauce on both sides. I like to add a layer of sauce, let it cook for a few minutes then add another layer – and repeat.